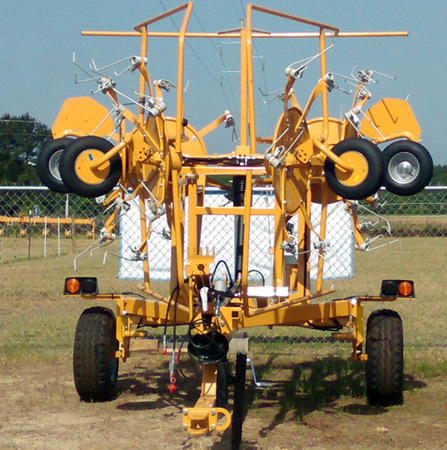 Specialty Sales Co. is excited to provide Vermeer sales and service support for your forage equipment needs. We are here to provide expertise throughout the life of your equipment. Visit us today to meet our staff and see our full line of haying equipment. Specialty Sales Co. is an authorized Vermeer dealer. See us for comprehensive service and genuine Vermeer replacement parts. 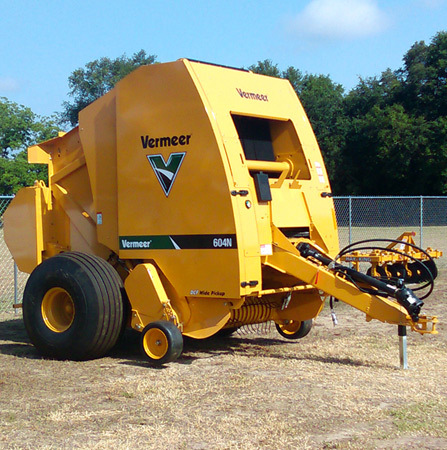 Specialty Sales Company is now your resource for Vermeer forage equipment. Controlled through the E-Link Pro display, the optional auto-lube greasing system provides operators automatic lubrication to critical bearings at user-defined intervals. This automatic system performs best with high-pressure Polyurea grease. User-friendly durability abounds in the pickup! The optional pickup clutch automatically stops the pickup when desired bale size is reached lessening inadvertent overfill of the bale chamber and protecting the rollers, bearings and belts. Seals on either side of the pickup bushings keep dirt and dust out, also reducing wear and increasing the life of the pickup. Finally, tool-less gauge wheels make adjusting the pickup height easy. The ISOBUS compatible, color touchscreen E-Link Pro Display offers enhanced usability, such as easily-accessible bale weight and moisture readings on the home screen with optional scale and/or moisture sensors. It also comes with the ability to keep track of information for up to 20 customers, with up to 10 fields per customer, electronically. Additionally, the E-Link Pro provides operators with feedback on the optional auto-lube greasing system and the pickup clutch control right in the tractor cab. The dual-stage bale tightening system offers increased starting speeds, tighter, more receptive bale starting and smoother, more trouble-free starts. This feature reduces the bale starting chamber by 50%, allowing the hay to turn quicker. Vermeer Mower pictured above is also available.